Comedian, actor, writer, producer, director and editor, Louis C.K. will debut two new stand-up comedy specials exclusively on Netflix. The first of the specials, titled 2017, was filmed in Washington DC, and will premiere April 4, everywhere Netflix is available. “Louis has been one of the most innovative comedy voices in this new era of stand up. He has also been a thought leader in the business of comedy. We have marveled at his creativity and his ability to invent comedically and commercially, and are thrilled that he is bringing his newest specials to Netflix,” said Ted Sarandos, Chief Content Officer at Netflix. Six-time Emmy Award winner Louis C.K. is one of the most honest and respected comedic voices of his generation, finding success in both television and film as well as the live stage. Louis can most recently be seen starring in Horace and Pete, a drama series he both wrote and directed. The show debuted in January 2016 and was directly distributed through his website, louisck.net, before Hulu acquired exclusive streaming rights in December. Louis will also be heard as the voice of “Lou” on the upcoming animated series The Cops, which he co-created. The comedy received a 10-episode, straight-to-series order at TBS and is set to premiere in 2018. Most notably, Louis served as executive producer, writer, director, editor, and star of FX’s Peabody Award winning hit show Louie, which has garnered multiple Emmy award nominations and wins for five seasons. Under his multi-year development deal with FX, Louis also serves as co-writer and producer on Baskets starring Zach Galifianakis and the critically-acclaimed Better Things starring Pamela Adlon. Louis also serves as executive producer on Amazon’s One Mississippi, a comedy based on the life of comedian Tig Notaro that was recently picked up for a second season. Louis has received over 30 Emmy nominations throughout his career, including wins for “Outstanding Writing for a Comedy Series” for his work on Louie and awards for “Outstanding Writing for a Variety Special” for his standup comedy specials. 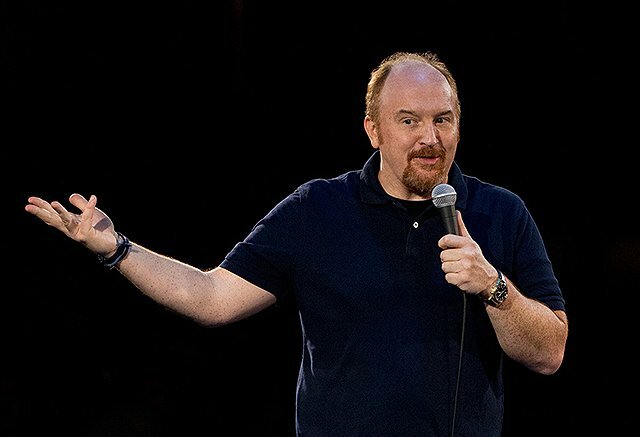 On stage, Louis continues to cement his status as one of the most innovative standup comedians of all time. Always one to experiment, he released his 2011 standup special, Louis C.K. Live at the Beacon Theater, directly to consumers through his website for $5. The move was hailed as groundbreaking and was a tremendous success, and he donated a large portion of the proceeds to charity. He released his latest stand-up special, Louis C.K. Live From The Comedy Store, in the same manner in January 2015, a few months before the special premiered on FX. In January 2015, he became the first comedian to sell out Madison Square Garden three times for the same tour. The third show was recorded and released as a digital audio download on his website, which went on to take home a 2016 Grammy Award for Best Comedy Album. The following year, as part of an international tour that culminated in this latest special, Louis broke his own record by selling out Madison Square Garden five times over as well as arenas all over the country. In the film world, Louis could most recently be heard as the voice of “Max” in Illumination’s box office smash animated film The Secret Life of Pets. Previously, he starred alongside Bryan Cranston and Elle Fanning in Trumbo, opposite Cate Blanchett and Alec Baldwin in Woody Allen’s Blue Jasmine, and appeared in American Hustle, which was awarded “Best Picture – Comedy or Musical” at the 2014 Golden Globe Awards.